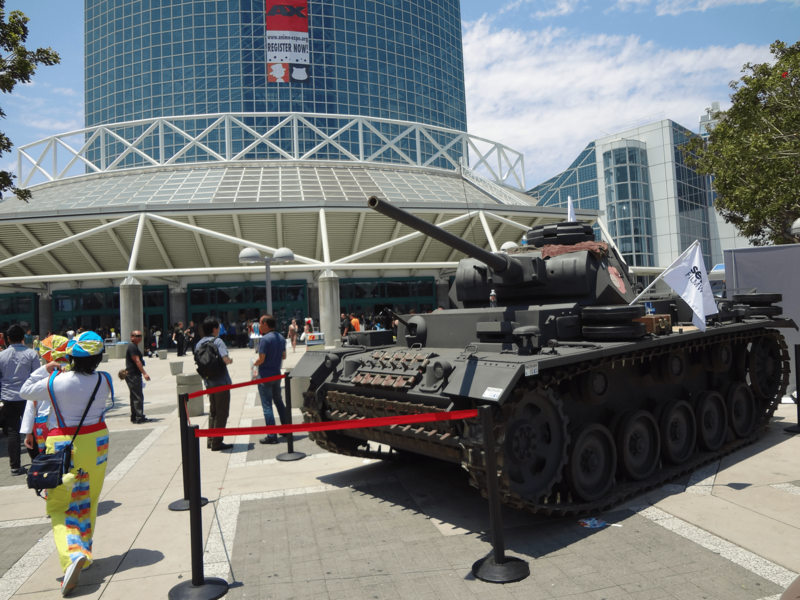 Our coverage of Anime Expo is already up! Although we had previewed Anime Expo a few weeks ago, after 3 days of fun at the annual Los Angeles convention, there’s much to report, from the loot that we purchased, to the people we met to the panels we went to, to even the concerts which were really impressive even if the hype leading into them wasn’t too high. If you go through to read the post, you’ll find that the best part is easily the opportunity to meet anime director Makoto Shinkai, who was there to promote his latest work titled Kotonoha no Niwa (The Garden of Words), which featured an outstanding soundtrack composed by Kashiwa Daisuke, whose piano work, while minimalistic, was very soothing and deliciously introspective on the whole. So do come by to read of the fun that we had. There were many anime bloggers at the convention and it was really difficult to go anywhere without bumping into someone I knew. On top of that, we hope that you’ll stay tuned, because in addition to this general report of the convention we put out, we’ll also be having the concert reports up in short order. Look forward to that!